I want to share some tips on how to get over blogging boredom. I’ll start by sharing my experience. Yes, even when you are passionate as I am, you can still fall into this trap of getting bored and tired to blog. Some time ago, I got bored of ‘blogging’. Hey, I’ve been doing it for over 5 years, OK? (8 years at the time of updating this post in December 2018) So it’s not like I got bored after a few weeks of starting, right? Anyway, I didn’t hit a wall and I wasn’t facing writer’s block or anything like that. I just got so bogged down with work, projects, deadlines, and everything else in between running my blog, that when it came to writing blog content, I simply forgot how to enjoy it. Yep, it felt as if the fun in blogging had been ripped out of me. What! blogging is meant to be fun? I hear you say! Yes, of course, it is, absolutely! I don’t care what you may have read or heard elsewhere, you’ve got to enjoy blogging for it to be rewarding in any way, whether you do it for business or just for fun. As I said at the start, I got so bogged down with so much stuff going on in my online business, that I forgot how to have fun with blogging or creating content for my blog. In addition to being busy with various client projects and deadlines, I seemed to be spending a lot of my time managing my online business and blog than ever before. Checking, moderating, reading and replying to blog comments. Writing email newsletters, and all the rest of it. We are all busy in different ways, however, there are some known things that can deplete your motivation to blog. Taking on more than you can manage, i.e. starting multiple blogs and spreading your resources everywhere too thinly. Not really knowing the real purpose of your blog, yes, really! You’ve run out of ideas of what to write about. You’re always too tired to write your posts. You’re too critical about your writing style and content. You don’t feel motivated enough to blog – check out this post I wrote on things that can demotivate you as a blogger. You’re so bogged down with other blogging related activities, that you don’t have time to write new content. These are just some of the things that can take the fun out of blogging for you, and I’m sure there are many more that I’ve missed. So, now let me share with you what I did to make blogging fun again for myself. If you can relate to this post in any way, hopefully, you’ll find the tips below useful. Our circumstances can change instantly, that’s just life. We can have all the time in the world one minute, and the next, we’re scraping to find the time. Before our kids came along I had all the free time in the world to work on my blog and online businesses, however, as I said, life’s circumstances can change everything. I took the time that I had before family commitments literally for granted by not being more organized. And while family comitments always takes top priority these days, I’ve discovered that becoming more organized is the key. Typical man-thing, right? Both our kids are now at school full-time, meaning I have more time to dedicate to my blog and business. Still, however, being more organized helps me get more done during the hours that I have to work on blogging. Blogging without a goal is mindless and unproductive. Setting small and SMART goals and making a conscious effort to reach those goals each day is so important. Because you’re taking those small steps to your ultimate goal in blogging, whatever that might be. I set myself just one blogging goal per day. I use my trusty blog planner to help me with this. With just one goal to aim for every single day, I can achieve so much more over a period of a week, instead of just trying to multitask 5 or 6 items every day and achieving none of them. Also, having something to aim for makes the whole blogging experience so much more fun. You’re giving yourself a direction, a target to aim for, and that’s so important. Investing in your blog can really help to boost your motivation, and can make blogging fun again. Take it from me, when I’ve invested in some new tools, some chemical is released in me that makes me excited about using them to develop and grow my blog. You don’t have to go out and spend a lot of money, perhaps a new WordPress theme or a new plugin. Or, a new piece of hardware or software to enhance your blogging experience. I recently treated myself to a new MacBook Air to replace my tired old Windows desktop computer. It was my first ever Apple computer purchase, so I was so amped about writing my first blog post with it. Blogging isn’t just about dishing out good old advice and information to others, it’s also about taking a little bit of your own advice, and, learning from others too, of course. You have to learn new things yourself along the way. Not just to better yourself and to improve your skills, but also to help you provide better information and advice to your audience. What I like to do when I’m not writing is to read a lot of books and eBooks. I like to read and learn anything that can help me improve myself, my blog, and my blogging skills, and help me serve my readers better. I recently started a couple of new Udemy courses in advanced CSS and I’m having a lot of fun with them. Find time to learn something new that’s going to help you with your blog, and apply it to your daily blogging routine. Blogging can be a lonely old pastime at best of times, especially when you’re just starting out and no one really knows who you are. Sure, you’re building an audience and engaging with the few of them on your blog and social networking sites. But, sometimes it pays to reach out to one or two of your new or frequent readers. Better still, why not get in touch with another blogger in your niche? Building online relationships as a blogger are important, and this can definitely help put a lot of fun back into doing the blogging thing. One of the best ways to connect with other bloggers and influencers I’ve found is to offer to interview someone in your niche. I like to write 4 or 4 blog posts per month, and I usually stick to that frequency. Sometimes I may do as many as 6 posts per month if I feel like it. Sticking to a regular blogging frequency can make blogging a lot more fun because you’re always in the frame of mind for writing content. If you only post once a month, you’re going to struggle with keeping up your motivation to blog, again I’m talking completely from my experiences. 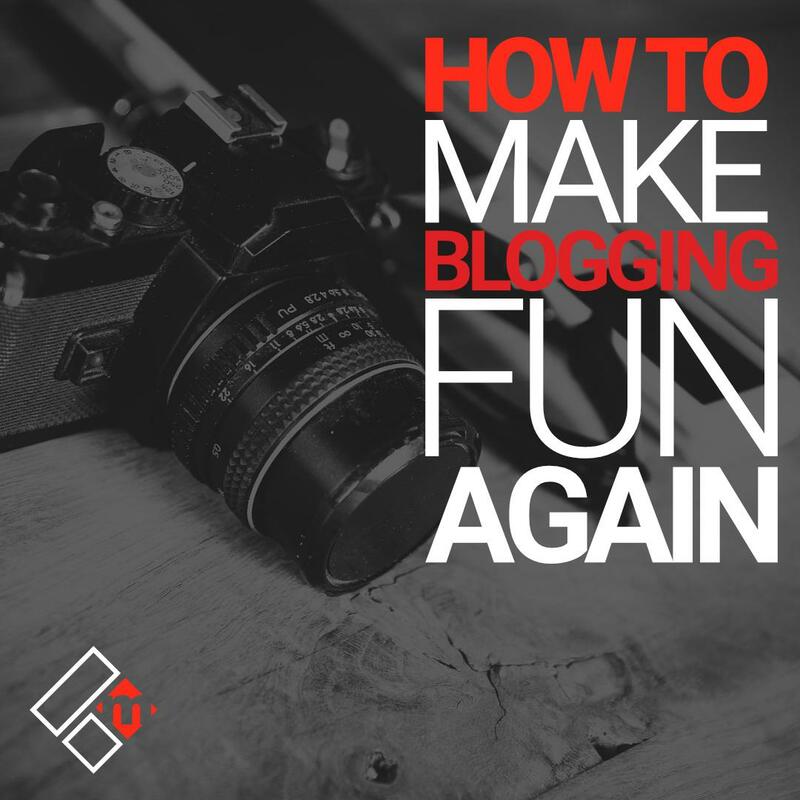 If you blog too frequently, for example, every day, you may struggle to keep it fun, especially if you find it difficult to find new topics to write about. 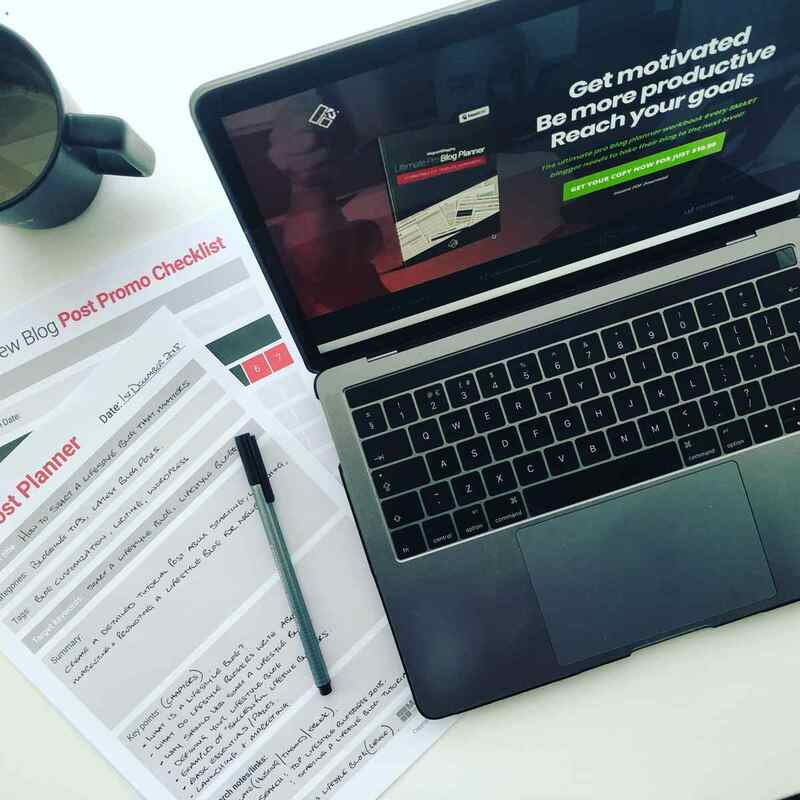 The benefit of writing a few good power posts each month is that you can promote them properly because as you know, blog post promotion takes a lot of time and effort. It’s so easy to procrastinate over your content writing and style. You can quite easily edit your post a million times and still feel as if it doesn’t sound or read quite right. You can spend too much time dwelling on whether others will like your post or not, and that can take the fun right out of blogging altogether. I’ve learned to simplify my blog writing and develop a style of my own, and not to overcomplicate things too much either. The best way to do that, I’ve found, is to just write the way you would talk to someone, anyone, naturally. Think of how you talk to others, then write the same way, it’s that simple. I create a lot of videos for my YouTube channel, and often in those videos, I’ll speak exactly the same way as I would when I write my blog posts. I love my office space, I love working at my desk, I love all the things I have in my office and the fact that it’s the most comfortable place for me to work on my blog and online business. But, sometimes I just have to escape. Blogging or writing your blog posts in the same environment, day in and day out can become a bit boring, I think. There is nothing inspiring about staring at a blank wall space every time you’ve got to write. So, grab your laptop and escape your office or desk space. Head down to your local park to write in the great outdoors, if it’s not blowing a gale or thundering down with rain or snow that is. Or, if you need WiFi and coffee, head down to your local coffee house. I’m not against writing for the search engines, after all, search engine traffic is critical if you want your blog to grow and prosper, right? Eventually, however, it becomes more about writing for your readers and less for the search engines, and that to me is a lot more fun. To actually write for people that come to your blog looking for a solution to their problem, that’s a great feeling, to write blog content that resonates with your audience completely. While I’m a strong believer that you should write for your readers, I also believe that from time to time, you should create content that you enjoy creating and want to write about. You should share something that makes you love to blog. For me that’s creating MVP’s (Massive Value Posts), I love getting lost in those types of long-form blog posts. Let’s not forget the true purpose of blogging too, and that purpose is to share your thoughts, insights, and perspectives on a topic you’re passionate about. All while trying to provide some value and education for your readers. So peeps, if you’re struggling to make blogging fun, I hope that sharing the things that I’ve done here will help you immensely. I hope this post has inspired you in a small way. If you’d like to share your thoughts and experiences with me, please don’t hesitate to leave me a message here. PS. On a final note, I’d like to recommend a fantastic book which I read some time ago called 31 Days To Find Your Blogging Mojo by Bryan Allain. This book is truly amazing. The author shares his own dilemma while sharing some valuable tips and advice for getting your juices flowing to blog again. Well worth the read if you ever get the chance and the time. You can find this book here on Amazon. Simplify! Love this Fab, because keeping things simple is a secret to my success. I post short and punchy, or don’t bother posting at all. Why stress when you can have fun and rock out this online bit. Thanks! Do you know how I keep my blogging curiosities, for example? different wordpress themes for each of them. So I need to investigate further to better tweak them. This requires more time, but it pay off because it keeps up my curiosity. Also, it’s good to test which layout theme converts more! Hi Erik thanks for stopping by mate. That’s very interesting and I know exactly what you mean, I also use different themes for my own niche sites also, two of my niche sites I use the same theme, same layout and settings etc, both gets similar amounts of traffic but one definitely converts more than the other. Hi Muba first of all thank you so much for your kind words, I love writing posts from a personal point of view, I feel it helps me connect with my audience better in a friendlier manner as you would say. I’m so pleased you enjoyed reading my list, best wishes for the future, I truly appreciate your visit.